When’s the last time you updated or completely renovated your dealership website? If the answer is anytime over two years, your website could be in dire need of a refresh to ensure that it’s as mobile-friendly as possible. Our blog this week breaks down 5 reasons your dealership site should be mobile-friendly and how these changes can improve your lead generation, Search Engine Marketing and Search Engine Optimization. 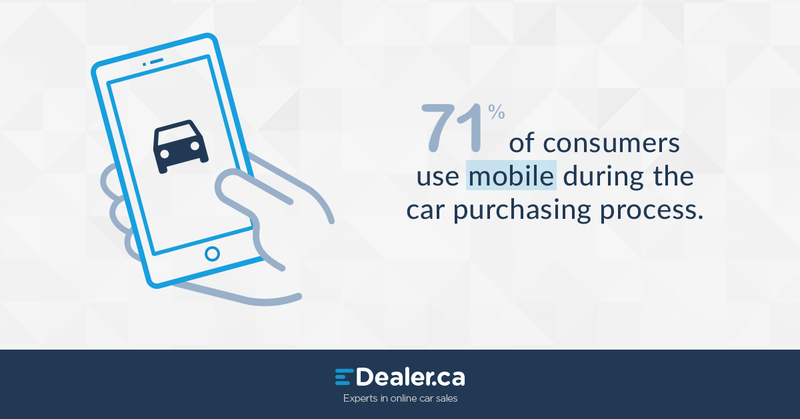 Mobile devices have become an extension of almost all consumers and are increasingly being used as a tool in the car purchasing process. Without a mobile-friendly website, a large chunk of consumers interacting with your dealership online may leave your website prior to taking desired action. Keep visitors on your website longer, display your inventory seamlessly and generate leads from on-the-go users accessing your website from mobile devices. Just over a year ago, Google announced that more searches take place on mobile devices than on computers in over 10 countries, and since then it’s likely that number has increased. 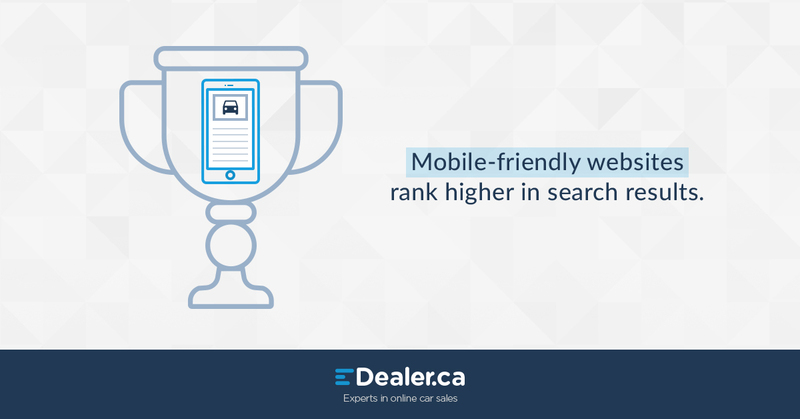 With more consumers conducting car research on their mobile devices, your dealership site needs to be mobile-friendly to ensure that web visitors aren’t bouncing from your site due to a poor mobile user experience. Google and other search engines have changed their algorithms to give priority to websites that are mobile-friendly, or better yet, mobile-first. With an increasing number of search queries coming from mobile devices it makes sense that mobile-friendliness continues to become an increasingly important factor in SEO. Simply put, your website will rank higher if it’s mobile-friendly. Returning web visitors are among some of the most valuable web traffic visiting your dealership website. A return visitor represents a loyal customer or a customer conducting car research that is seriously considering buying from your dealership, or at the very least visiting. 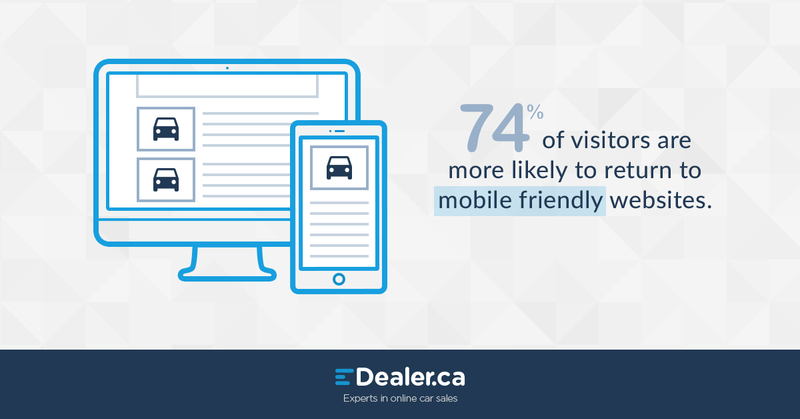 If the first experience a consumer has with your dealership is your website on a mobile device, they need to have a positive experience to increase the likelihood they’ll return to your site regardless of the device they use to browse next. The more likely they are to return to your site, the more likely they are to become a quality lead and visit your dealership in person. Consumers lives are increasingly fragmented and time spent online is shared between a selection of glowing screens. 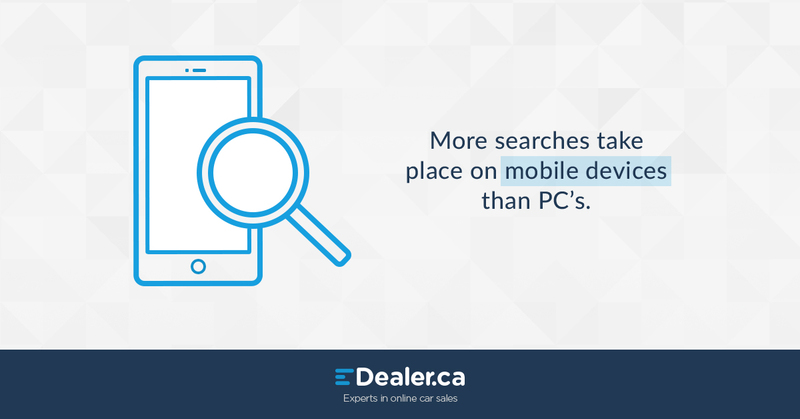 A user may begin car research browsing models at work on a desktop, that night they read reviews for a model of interest on a tablet and as the weekend rolls around a smartphone is used to call or get directions to the dealership. When a user gets to the final stage of conversion, mobile user experience should be seamless to maximize the number of users contacting the dealership, getting directions or viewing inventory on the device of their choosing. 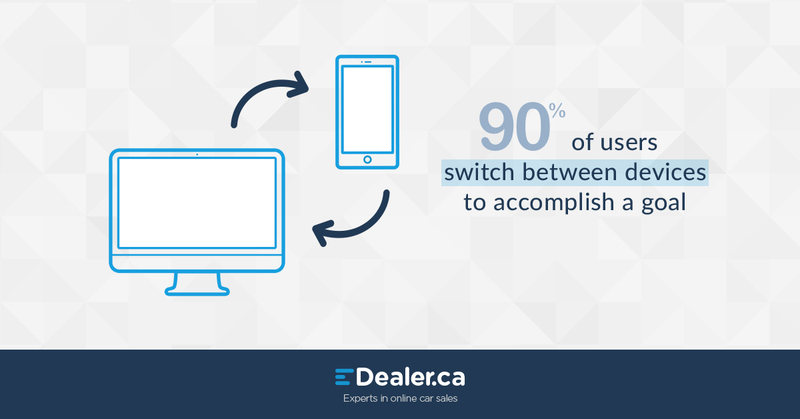 Think your dealership website could use a mobile-friendly refresh? Schedule a demo or get in touch with us today. We’re experts in online car sales and want to put our expertise to work for your dealership.